Delveinsight Picks Up The Pace With Its Newly Launched Drug Pipeline Reports!!! Over the past six months, DelveInsight has proven its value to their customers with its excellent deliverables. Now newly launched DelveInsight’s Pipeline Reports is the answer to all looking for top notch drug development information. In the fast-paced, competitive field of clinical research, organizations must constantly be in tune to industry happenings, the latest business news, new drugs in the pipeline, trends impacting the industry, emerging markets of clinical research, and much more to maintain an edge for continued success. DelveInsight offers a complete array of pipeline information under “Pharm Insights” providing companies with the necessary tools to keep them in the light and in touch with the unpredictable nature of the industry. DelveInsight Pipeline Reports will provide complete Pipeline intelligence and complete understanding over therapeutics development. These reports helps in developing strategic initiatives to support your drug development activities, optimizing portfolio, developing and designing in licensing and out licensing strategies by identifying prospective partners with the most attractive projects to enhance and expand business potential and scope. These reports are available with many resellers like Report Linkers, Report Buyers, Report Stack, Bharat Book Bureau and Market Reports. Ask for sample reports now! This entry was posted in Business Consultant and tagged Blockbuster drugs, clinical research, company profiling, DelveInsight, Drug, Indication, Market Reports, Pharm Insights, Pipeline Reports, Report Buyers, Report Linkers, SWOT ANALYSIS, therapeutic Area, therapeutics. DelveInsight’s Marketed and Pipeline Reports Going Viral! DelveInsight has launched its Reports under two brands Pharm Delve and Pharm Insights. Pharm Delve reports are known for its extensive detailed information of the Marketed drugs– Global Market, API Market & Manufacturers across the US, Europe and Asia specifically China and India and Phase III Pipeline drugs information. These reports provide whole list of companies interested in your business. It gives you the most up to date information on drug marketed data, patent data, upcoming API with lots of potential in market, interested Generic Drug Companies, Active Pharmaceutical Ingredient (API) Manufacturers to determine which companies and therapies are emerging leaders while understanding the market needs. 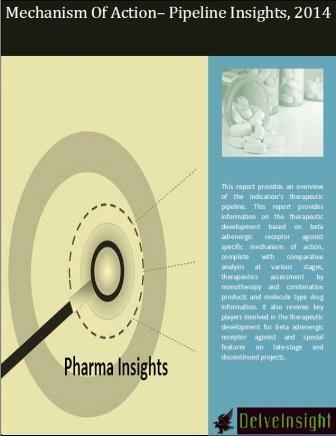 Pharm Insights covers the pipeline reports. Mechanism of Action Reports launched has become the most known and on demand amongst the clients. The report has highlighted all the under development drugs falling under the specific MOA with the comparative analysis at various stages and therapeutics assessment by monotherapy and combination products and molecule type drug information. The reports have covered each and every detail of the drugs while chemical information and company profile are considered thoroughly. Who can buy these Reports? At DelveInsight, we believe what we do matters. We are passionate about our work, inspired by the impact it has on our business and our customers. As a team, we believe in winning as one – collaborating to reach shared goals, and developing through challenging and meaningful experiences. The pharmaceuticals market is in its growth stage and we are uniquely positioned to successfully endeavor the dimensions of the fast growing market by providing clear and forthright business recommendations to help clients evaluate potential paths and make vital decisions at all stages of a product’s lifecycle and across multiple business and therapeutic areas. This entry was posted in Uncategorized and tagged Active Pharmaceutical Ingredient, API, Asia, China, Europe, Generic Companies, India, Inorganic Growth, Marketed drugs, Mechanism of Action Reports, Organic Growth, Pharm Delve, Pharm Insights, Pharma Companies, Phase III Pipeline, Pipeline, Pipeline Reports, Reports, Track your closest Competitors, US. Get the idea what Other Companies are doing with the Targets you are Interested In and what their progress and strategize to get the best out of it with our MOA Pipeline Reports. 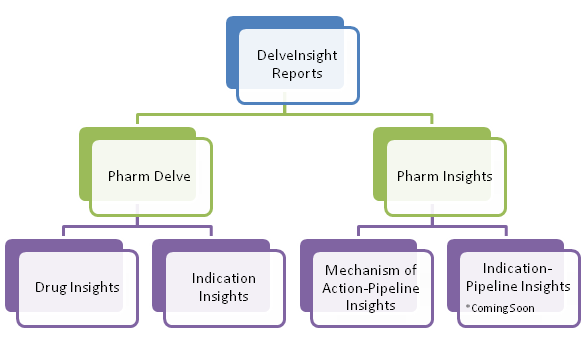 After a successful launch of Drug and Indication Reports under Pharm Delve Series, DelveInsight has come up with a Pipeline Reports under brand name Pharm Insights covering 700+ Mechanism of Action reports. Mechanism of Action Based Reports is one of a kind report which will provides comprehensive insights about pipeline drugs across this mechanism of action (MOA). This report provides information on the therapeutic development based on the certain MOA dealing with the target, comparative analysis at various stages covering Filed, Phase III, Phase II, Phase I, IND filed, Preclinical, Discovery and unknown stages, therapeutics assessment by monotherapy and combination products and molecule type drug information. The report also covers the company’s information involved in the therapeutic development of the products. It also has highlighted the discontinued and dormant products. “In this highly competitive world, everybody wants to understand the pace of their competitors. Mechanism of Action based reports is the key for them” said Ms Mridhu Verma, Analyst at DelveInsight. These reports can be available through leading resellers such as Report Linker’s, Report Buyer’s and Report stack or you can directly contact at info@delveinsight.com. This entry was posted in Business Consultant and tagged 700+, Mechanism of Action, Pharm Delve, Pharm Insights, Pipeline, Report Buyer, Report Linker, Report Stack.